« The Big Night: Good Morning! 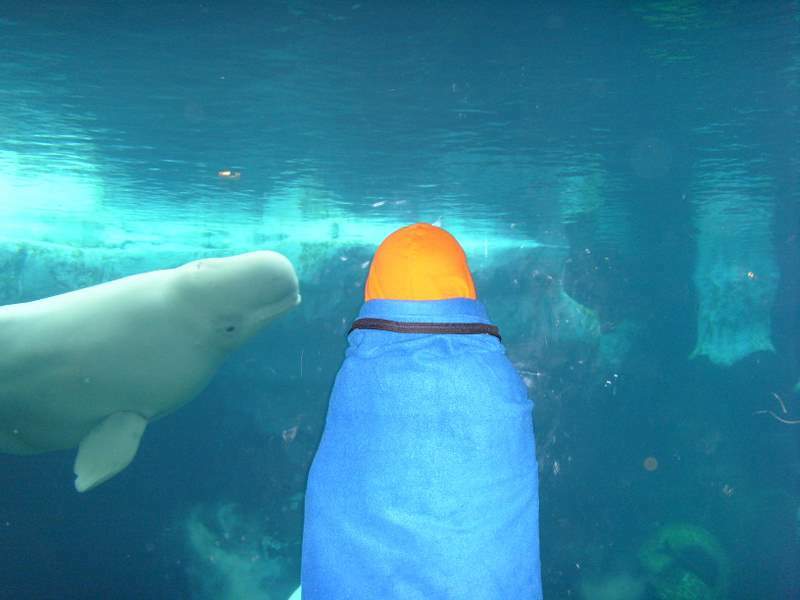 Bridger and I traveled to San Diego last week for a special sleepover at SeaWorld. We were two of about 40 people who set up camp in the park’s Wild Arctic exhibit Saturday night. We hoped to get updates out a little more frequently that night, but honestly we didn’t know what we were in for. There was no cell reception inside the exhibit itself, so we couldn’t post once inside. The videos we posted were taken with my cell phone, but we also had a camcorder with us. I’ll compile a montage of the events and post it here next week. Bridger will have some thoughts over the weekend. A big thanks to the good folks at SeaWorld San Diego and the Adventure Camps crew! The Big Night was a blast! Hey Bridger, whats going on? you havent posted anything for over a month! Sorry Connor, it’s been really busy with school. I’m going to put some new stuff on there soon. I love going to sea world but in england we don’t have any big places for whales, just small fish! I can only imagine what it would have been like to wake up to such a sight!